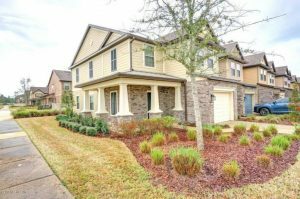 This weekend we have an open house featured in Mandarin, and Orange Park. Please come by and tour these beautiful homes this weekend. We have wonderful agents available to assist you and answer any questions you may have. This is a must see, like new, built in 2016, beautiful end unit townhouse in the desirable Bartram Park area with over $21,000 in upgrades! This has everything from granite counter tops to wood floors throughout the downstairs to stainless steel appliances. Come see for yourself and you’ll feel right at home as soon as you walk in! You also have access to a clubhouse, pool, and exercise room all in this lovely gated community. Overlooked Value, Back Patio Pond-View, ready for you to customize your Backyard Grilling and Fire-pit Experience. Yard has space for the kids play set on the side… Great Home inside ready for your personal touch…priced accordingly under 100/sq ft!!!! Built 2012, cul-de-sac, backyard pond-view, under $100/sq ft. This is the deal you’ve been looking for…See what others haven’t…you may be the first to know! Resort Style amenities with: pool, splash park for the kids with slides and fountains, fitness center, lighted tennis courts, basketball courts, soccer field, sand volleyball court and a clubhouse with kitchen! 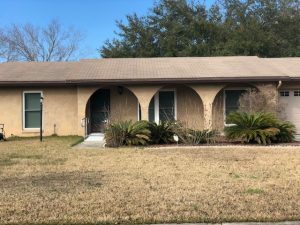 Come see this beautiful corner home in Orange Park. It sits on a lovely 1/4 acre surrounded by a white vinyl fence. The front of the home has beautiful arches with a lovely flower garden that blooms in the spring. 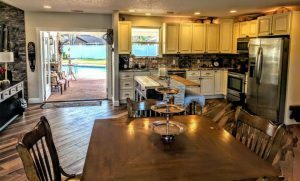 The property is completely tiled with a separate dining room, den and has a screened in porch with an air conditioning unit. In the backyard, there is a shed. The washer and dryer will convey with the property. Bring all offers to this motivated Seller.